Rocky Mountain Signing has a wide variety of attenuators for rent in Colorado. Impact attenuators come in many shapes and sizes. They can be mechanical made of metal, large round barrels filled with sand, and water filled plastic cartridges. 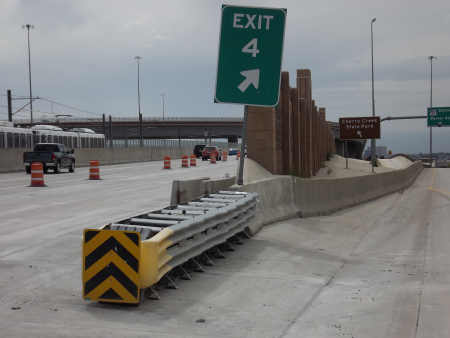 The purpose of a crash attenuator is to protect the traveling public from the blunt ends of concrete barrier and other roadway hazards, like overhead sign structures. All crash attenuators or traffic attenuators used on public highways must first pass all federal highway specifications. They must also be installed by trained and in most cases certified technicians. Highway crash attenuators are designed for speeds from 45-MPH to 75-MPH. 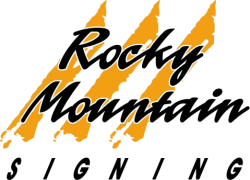 Rocky Mountain Signing can design/supply and install an attenuator to meet your project needs. Our attenuators for rent in Colorado have many practical applications. Impact attenuator barrels can also be found mounted on the back of a truck. These are mobile truck mounted attenuators. The TMA (Truck Mounted Attenuator) is designed to move along with a mobile work zone, like a highway stripping or maintenance operation. TMA’s are also used to protect highway workers from the motoring public as they set lane closures. 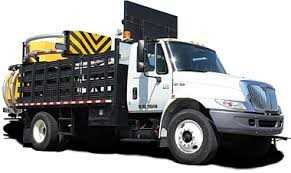 All of Rocky Mountain Signing’s truck mounted attenuators are mounted on trucks which carry a 26,000 lbs. GVW rating. Host trucks with a GVW of 26,000 lbs. will provide both drivers (the TMA driver as well as the driver impacting the TMA) the maximum protection. 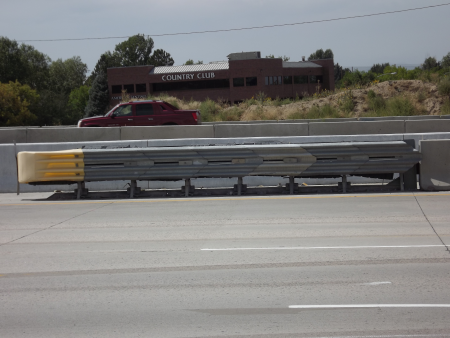 Please contact one of our crash and traffic attenuator pros at (303) 840-9877 x4 to find out more about crash attenuators.